A lot of people say that me and my dad look a lot like each other. What do you think? :) Besides inheriting his amazing good looks (*coughs* sorry.. di ko napigil na maisingit! hehe! ), I've noticed one of the things I've picked up from my dad is his habit of spraying on cologne. I have this distinct memory of him when I was young. He was on his way out -- to work or a date with mom I don't remember which -- and he was putting on his fragrance. So while wearing his undershirt, he shook out his polo shirt (a lot similar to what he's wearing above!) and started spraying the fragrance on it. Not once. Not twice. BUT ALL OVER! As in! Back and front of the shirt. Then he wears it and sprays all over again. All the while I most probably had this shocked look on my face and I remember Papa saying to me, "Anak, this is how you spray on cologne." Then he would give me this cheeky grin. Thank you so much Zen Zest! :P Ok so I don't spray fragrance that much! Kaunti lang! Hehe. Like I skip the spraying on the clothes before putting em on part. Pero all the rest.. hehe. My students know how much I love my fragrances. And me and my dad, once we get hooked on a particular scent. Loyal kami! Haha. 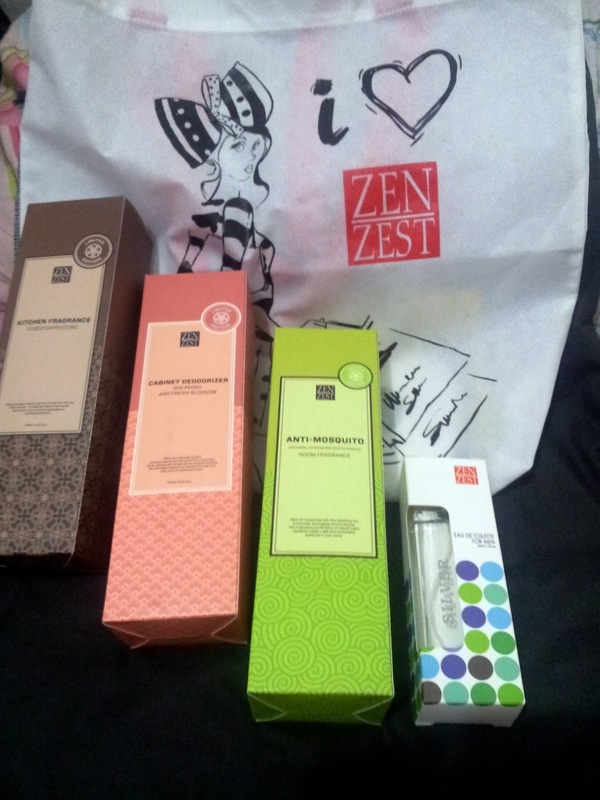 So when I got a bag of awesome fragrances from Zen Zest during Bloggers United 5, I was super thrilled. My first thought was that matutuwa si Papa! 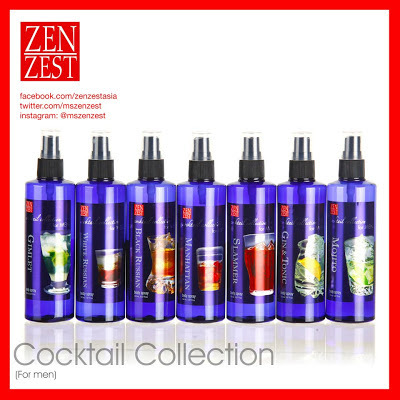 Favorite nya ang Zen Zest! My dad has been using Zen Zest for years. The Zen Zest Cocktail Collection for Men Body Spray is truly amazing. They have a lot of various scents that is unique and not overwhelming. 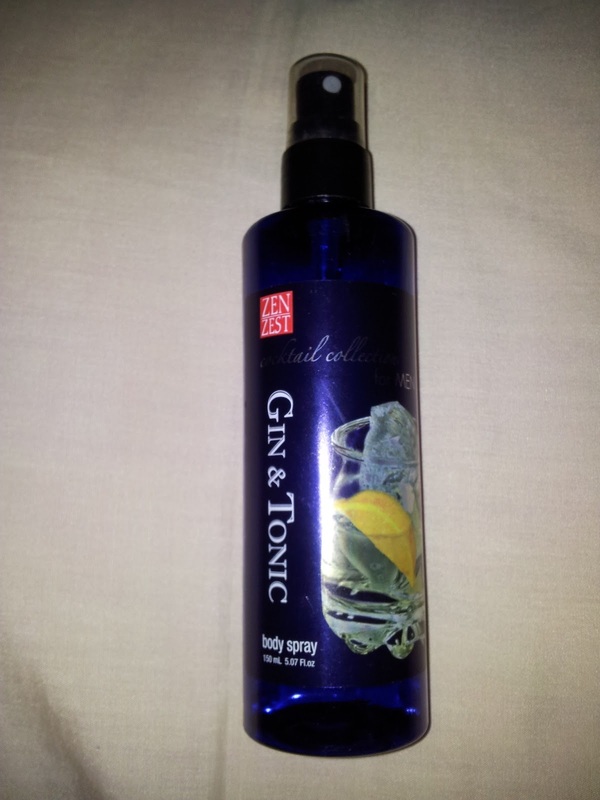 I remember the first Zen Zest scent that he liked was the Gin and Tonic. It's a mixture of fresh green apple, cedarwood, patchouli, vetiver, and sensual white musk. Apparently it is the bestseller coz it was frequently out of stock! So my dad checked out other Zen Zest fragrances. But when he tried out MARTINI-- grabe he didn't want any other Zen Zest Scent! 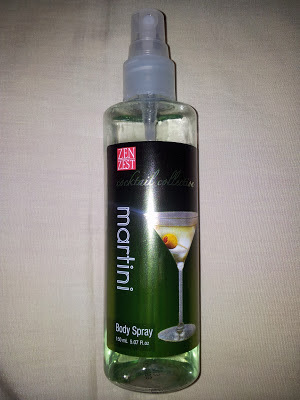 The Zen Zest Martini Body Spray is from the Cocktail Collection. I don't know if its specifically for men coz it doesn't say on the packaging like in Gin & Tonic. But the scent, oh the scent! You know how scents can trigger memories? Whenever I smell Zen Zest Martini, it always reminds me of Papa! Zen Zest Martini has a delicious combination of lush green and fruity citrus. This subtly sweet and sublime fragrance lasts all day long. According to the product's description, this understated sophistication in a bottle is ideal for those who have an exuberant zest for life! Zest for life? That's my dad! :) Martini seems to be a popular choice as well because it is also frequently out of stock! Hala! Price per bottle is Php 180! I remember there was this time it was out of stock in the North area (SM North, Trinoma) so he asked my sister (who works at the South area) to buy Zen Zest Martini for him. Sometimes more than one pa pinapabili. (haha takot maubusan!). Again madalas ma out of stock. So as an alternative my dad uses Zen Zest White Russian. 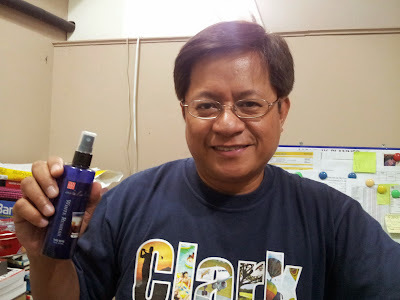 I asked Papa to pose with his Zen Zest Fragrance. :) He has a bottle of Zen Zest at his office and another one at home. He also has a small travel sized bottle where he transfers his Zen Zest fragrance so its always with him. Haha. Take note, my dad is a bit sensitive sa scents. He also has had asthma so he's quite particular in the scents he uses. Kaya when I see how much he uses a particular scent, I know na that its really good! So when I gave him this new Zen Zest Men's Fragrance to try out he got really interested! 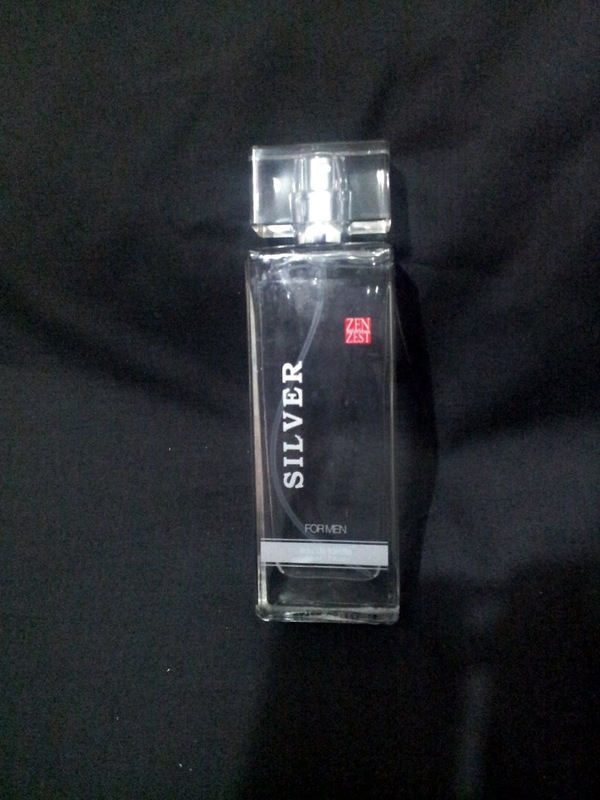 It's part of Zen Zest's affordable Eau de Toilette line. 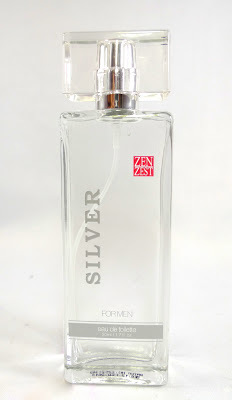 SILVER is a winning combination of herbs, vanilla, and amber. While it is proudly locally concocted, Zen Zest Eau de Toilette's formula follows global standards and is at par with international signature brands. Hypoallergenic and non-irritating, it contains aloe vera extract so it doesn't dry the skin. You don't need to be wary of leaving stains on clothes also. 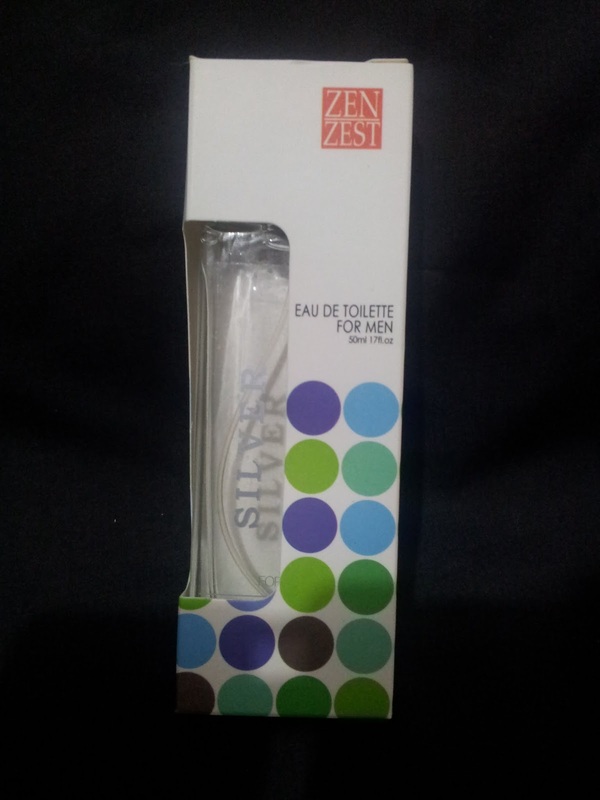 Zen Zest SILVER at 50ml bottle retails for only Php 200! My dad loves the scent! I fell in love with it too! He immediately noticed that the scent lasts longer. And he really liked the packaging. Classy daw. :) Last time I checked, he already finished half the bottle! lol. 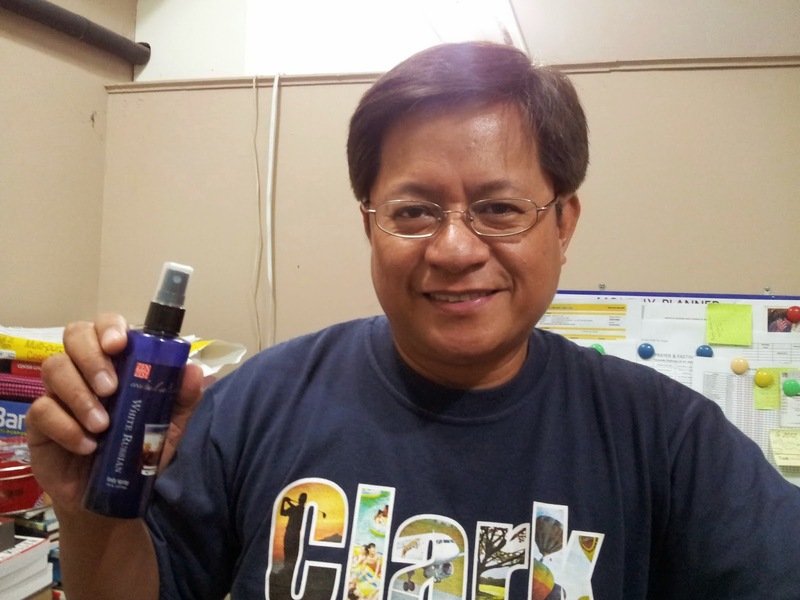 So you can probably guess what his current favorite Zen Zest scent is na! hehe. I also just found out that it was my brother who introduced Zen Zest to my dad. :) Ayos! Runs in the family pala! That perfume seems great. Although I'm not into using body sprays others would love this product. They do have unique scents. I'm sure this is their core advantage. Looks like the Zen Zest fragrances are very affordable. Will consider this as a gift for my friend.